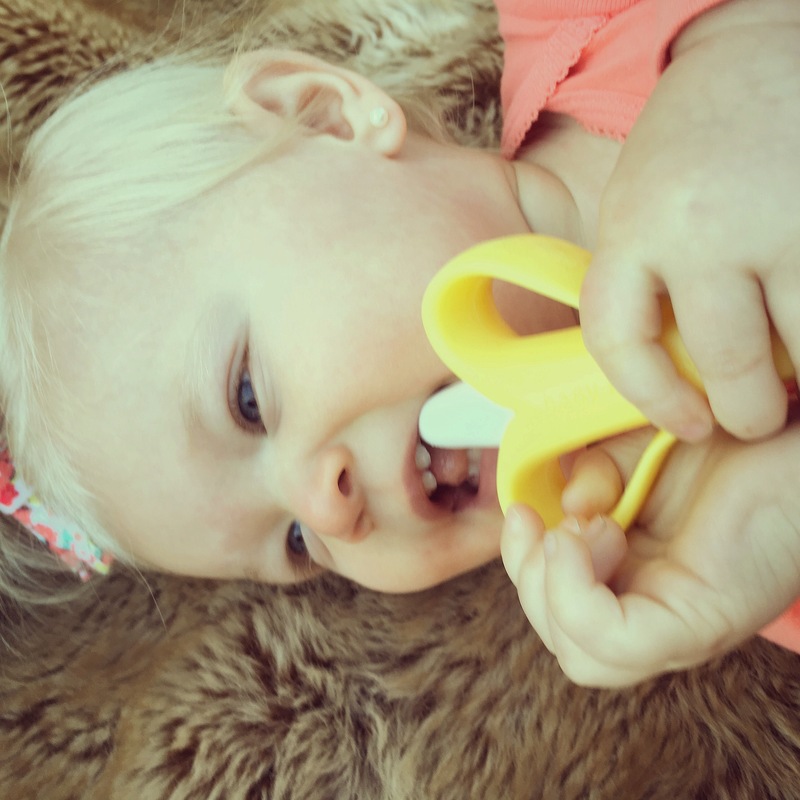 Baby Banana – Teething Toothbrush for Infants: My 11 month old is a teething machine, she has 4 teeth now and will literally chew on anything she finds. Since she is my second, I know first hand how important it is that we start brushing her teeth as soon as they pop through. This product has been a lifesaver for us. It is the cutest bright colored banana so it always catches her eye. It also has an easy to grab handle, so she loves carrying it around. 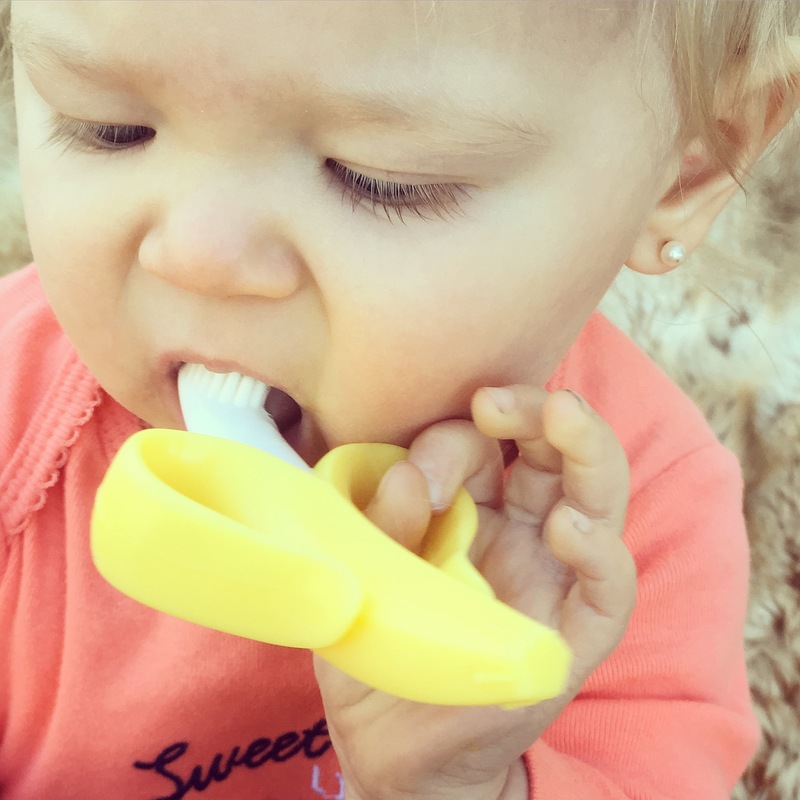 It is 100% food grade silicon and BPA Free, so I know it is safe for her little gums. She enjoys this teething toothbrush so much that she will let us scrub her little teeth with it. I am so thankful that because of this cute product, it is easy to start her early with the importance of dental hygene. Click HERE. 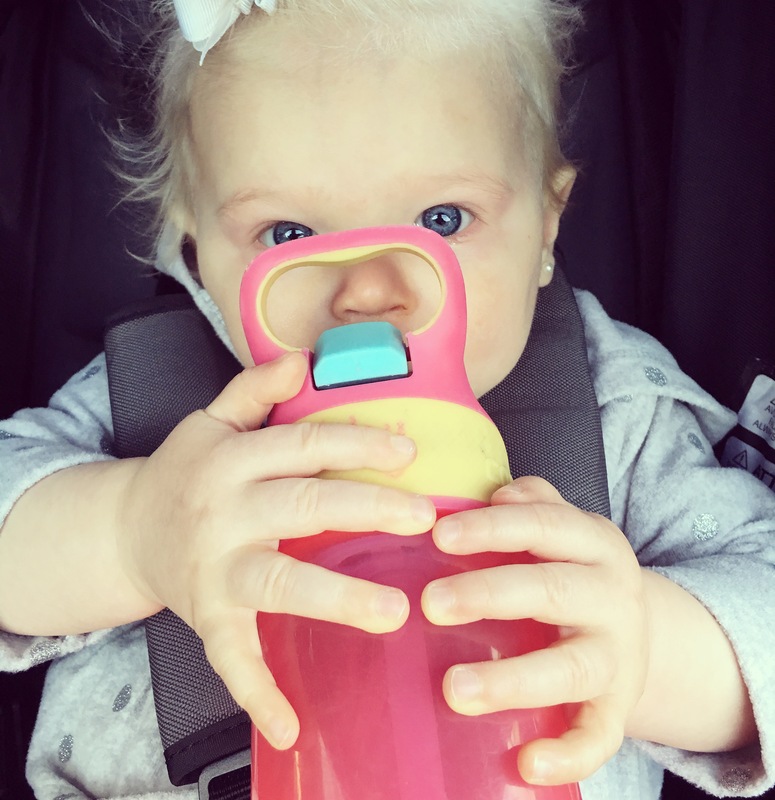 Contigo – Gizmo Sip & Flip Kids Waterottle Set: I can’t say enough great things about this company. My husband and I have been using their water bottles for years, so when I found little kid bottles I knew they would be great. They truly are one of the most durable and leak proof water bottles on the market. My daughters both drink out of them and even after being dropped on the ground a million times, (Just a slight exaggeration.) they never break and continue to stay strong. They are dishwasher safe and BPA free, what more could a mom ask for?! This pink and purple set is my favorite, they are the brightest, happiest and girliest colors and they have a rubber spout and handle which make it easy for my girls to carry around. We literally don’t leave the house without one. Click HERE. 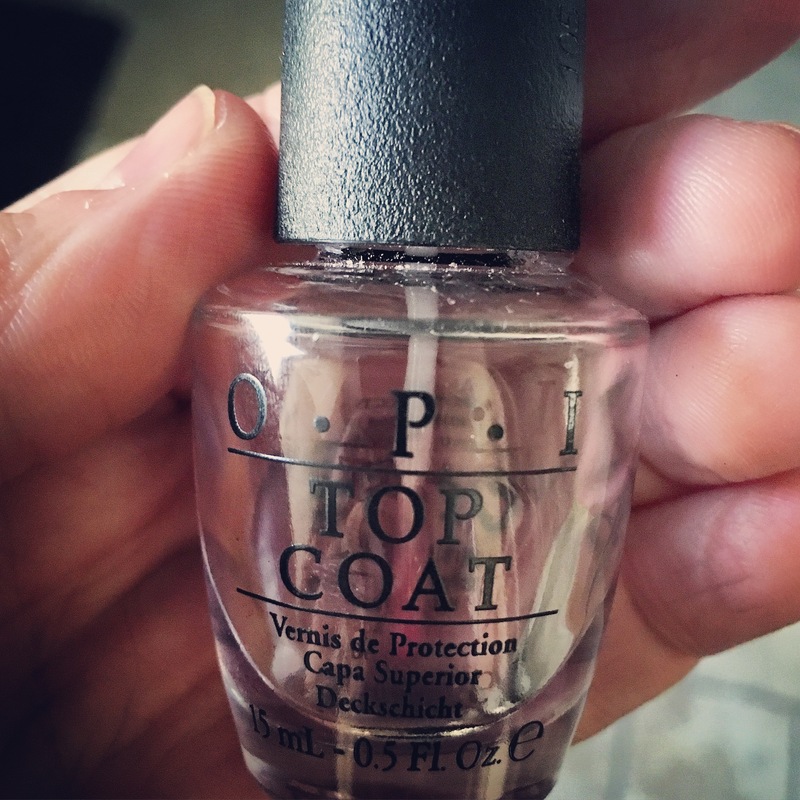 OPI – Top Coat: With sandal season right around the corner I thought it would be a good time to share my go-to nail polish top coat with you. I don’t have the extra time, babysitting help or money to have regular pedicures done at salons, so when I do get one done I cherish it! But, for all of the regular times that I paint my own nails, I always finish off my nails with my trusty OPI Top Coat. I have tried just about every brand out there, but only OPI leaves my nails sparkling and lasts the same amount of time as the salon’s nail care products. It is durable and always found in my cabinet. Try it out, I bet you will never go back to your old top coat! Click HERE. QUESTION : Is there anything you have fallen in love with recently?… Something you think I need to try and potentially add to next month’s Monthly MUST Haves?… Let me know! Thanks.